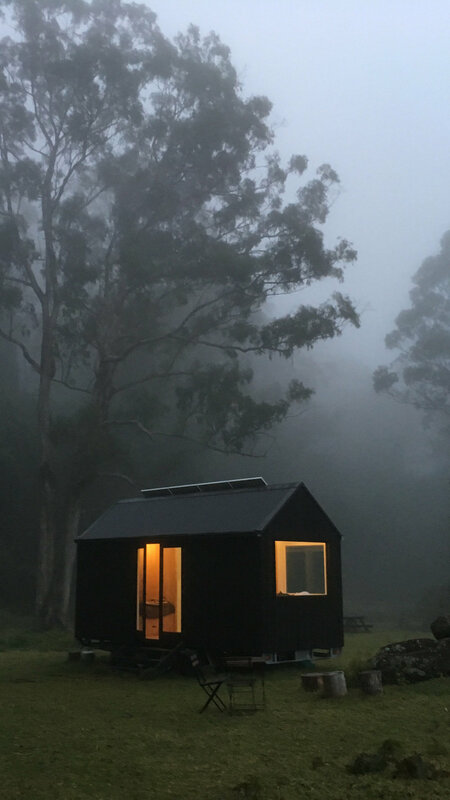 Perched on the edge of an idyllic clearing, overlooking a lush temperate rainforest, the little black cabin is surrounded by a sea of ferns, nestled in front of a towering eucalyptus forest. 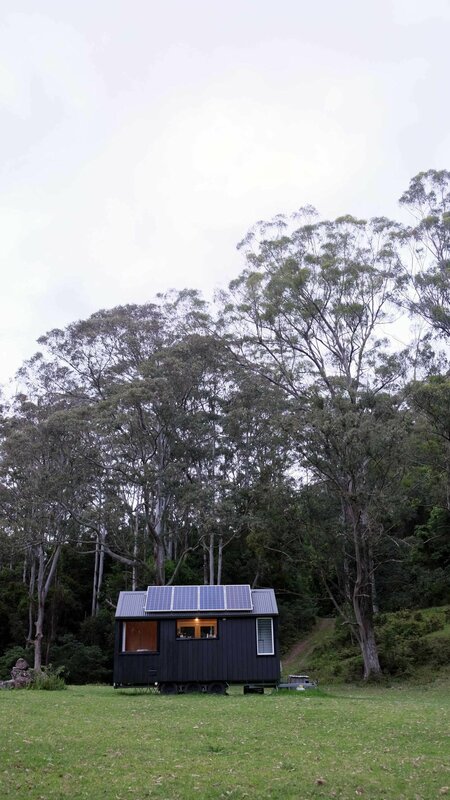 The brief was to create an off-grid cabin that was simple, sustainable and small. 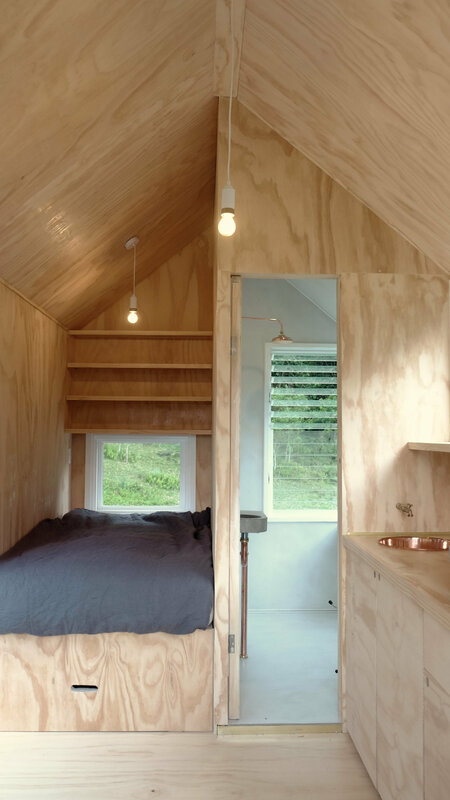 Rethinking the concept of a weekend away, Unyoked insisted to us “this is not a hotel”. 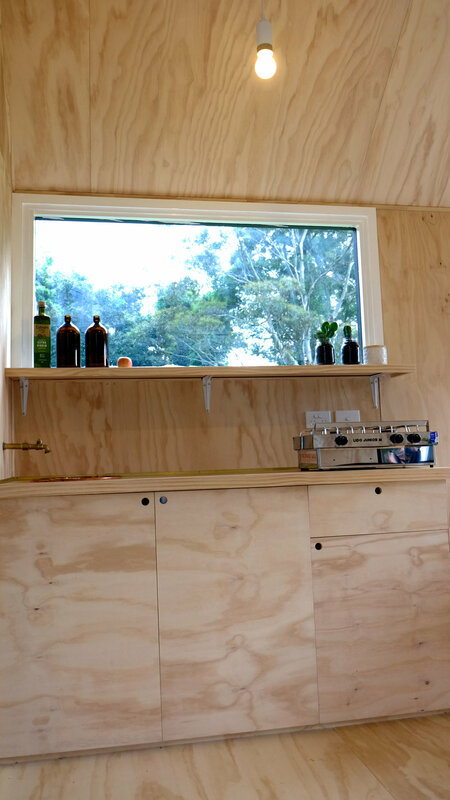 Designed to have a minimum footprint both physically and environmentally, the cabin incorporates solar power, sustainable plywood lining, large reclaimed windows, a composting toilet, black Australian Cypress cladding and exposed copper and brass plumbing. 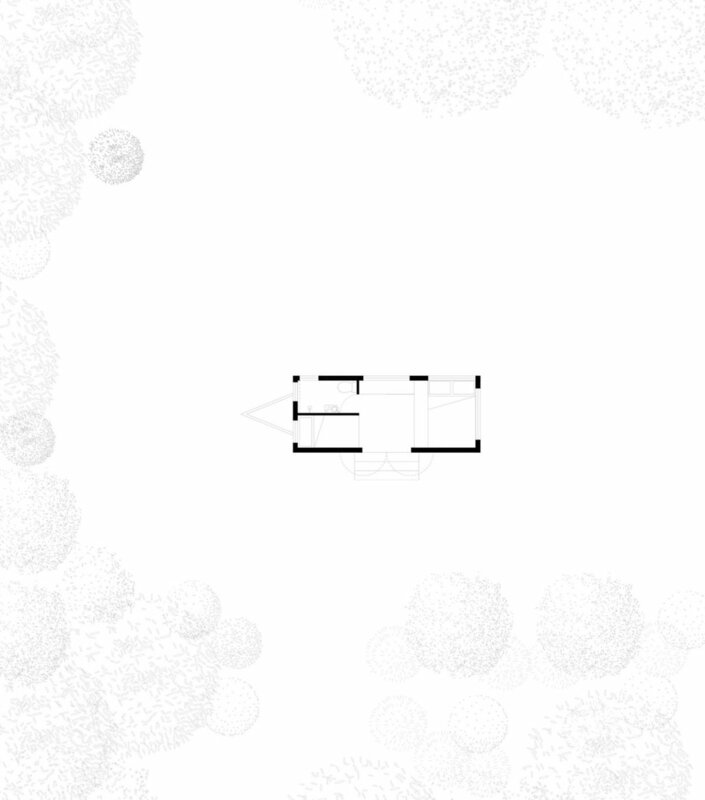 It’s humble fourteen square metres contains everything required to live a simple, uncluttered life.